The Make-A-Wish Foundation arranges for experiences/adventures/events for children with life-threatening or terminal medical conditions. The organization is guided by a belief in the vision of granting the wish of every eligible child. Most of the wishes fall into one of five categories: to go somewhere, be someone, meet someone, have something, or give something. Founded in the United States, the organization has 62 chapters located across the United States and operates in 45 countries worldwide. The Make-A-Wish Foundation has made over 285,000 wishes come true since its establishment. In 2016 alone, 15,300 wishes were granted in the United States. From visits to Disneyland, meeting a unicorn, and being a drummer in a reenactment of the Revolutionary War, no wish is too small, too unusual, or too big for the foundation to fulfill by utilizing its worldwide network of volunteers. 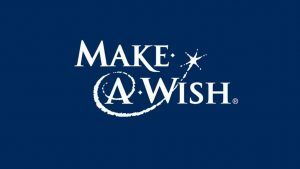 Children between the ages of 2.5 and 17 are potentially eligible to submit a request to the Make-A-Wish Foundation. They may be referred by a medical professional treating the child, a parent or legal guardian, or they may refer themselves. Many celebrities volunteer with the Make-A-Wish Foundation. After granting his 500th wish, professional wrestler John Cena holds the record for the most wishes granted by a single individual. Justin Bieber has volunteered in over 250 wish projects. The foundation works closely with many supporters in other organizations and throughout the media to bring its projects to fruition. The foundation is managed by a senior leadership team led by President and CEO David A. Williams and its mission and vision is charted by a national board of directors chaired by David M. Clark. The Make-A-Wish Foundation began after U.S. Customs Officer Tommy Austin told a colleague at the Arizona Department of Public Safety (DPS) about a seven-year-old boy he knew named Chris Greicius, who had leukemia and whose dream was to be a police officer. During the days prior to Chris’s passing in May 1980, Austin worked with DPS Officer Ron Cox and others to create a full-day experience that allowed Chris to fulfill his wish before he died. He was inducted as an honorary police officer, outfitted with a full and personally tailored uniform, and given a ride in a helicopter. Fellow officers Frank Shankwitz and Scott Stahl were amazed by how many people were so touched by the story. Several DPS officers and members of their friends and family got together that summer and decided to establish a wish-granting organization. From humble beginnings and a $15 donation from a local grocery store manager, the group was eventually officially recognized as a tax-exempt nonprofit organization by November 1980 and granted its first official wish to Frank Poncho “Bopsy” Salazar, who was able to be a fireman, take a trip to Disneyland, and ride in a hot-air balloon before he passed away.